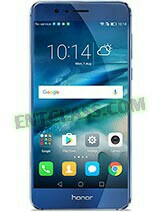 Huawei has launched yet another smartphone called Huawei Honor 8, which is among the set of smartphones Huawei released. Honor 8 is the flagship in the Honor series, as it packs incredible specifications and features. Huawei Honor 8 has a 5.2inch 1080p screen display, 4G LTE enabled, feature a Fingerprint scanner, running on Android 6.0 marshmallow straight out of the box. Huawei Honor 8 came in two versions, which difference is only the internal memory. 32GB and 64GB Internal storage. See more of its specifications and features below.